Lou Little is president of the National Association of Long Term Hospitals based in Rockville, Md., and is President and CEO of Sparrow Specialty Hospital in Lansing, Mich. Long-term acute-care hospitals were excluded from the Inpatient Prospective Payment System back in the early '80s. Other so-called IPPS-excluded hospitals include rehabilitation, psychiatric, cancer and children's hospitals. These IPPS-excluded hospitals serve very specific patient populations, where specialization brings both scale and requisite expertise to focus on specific needs. To be recognized by Medicare, a long-term acute-care hospital, or LTAC, must satisfy the conditions of participation of a short-term acute-care hospital but have an average Medicare length of stay of greater than 25 days. By comparison, the average Medicare length of stay in short-term hospitals is about five days. The example most often cited to explain the role of an LTAC is the intensive-care unit patient who has failed multiple attempts at being liberated from mechanical ventilation. When transferred to an LTAC, these patients, given more time and specialized care, have a high probability of being successfully weaned from the ventilator and resuming breathing on their own. More broadly, LTACs' primary role is to provide care for chronically critically ill patients requiring extended acute care. Researchers at the National Bureau of Economic Research recently released a working paper titled "Long-Term Care Hospitals: A Case Study in Waste." In the paper, which was covered in a recent Modern Healthcare article, the authors state "our results imply that Medicare could save about $4.6 billion per year—with no harm to patients—by not allowing for discharges to (LTACs)." This is simply not the case and such a policy change would be reckless. • The study used outdated data that do not reflect current LTAC Medicare patients or policy. Recent changes to Medicare policy give LTACs strong incentives to focus on caring for the most severely ill patients. In 2013, Congress passed patient criteria that have resulted in LTACs admitting a sicker, more appropriate patient mix—primarily patients that spent three or more days in an ICU immediately prior to an LTAC admission. As a result, in 2017, about 72% of all Medicare LTAC patients admitted directly from a short-term hospital met these restrictive payment criteria. In the study sample, only 17% of patients spent any time in an ICU. • The study does not recognize that LTACs are acute-care hospitals. Because of this designation, LTACs can and do treat patients that skilled-nursing facilities (which are subacute providers and do not have the clinical infrastructure or staffing of a hospital) will not and should not. This fundamental misunderstanding leads the authors to state that "four-fifths of patients discharged to an (LTAC) would have otherwise been discharged to a SNF." Patients discharged from a short-term hospital to an LTAC are de facto discharged for continued acute care. • Prior research has demonstrated the value of LTAC care for specific patient populations. Koenig, et al., (2015) demonstrated that for some patient groups that spend three or more days in an ICU or have multiple organ failure, LTAC care can generate Medicare savings and improve mortality. Only slightly more than 1% of all Medicare fee-for-service patients discharged from a short-term hospital go to an LTAC. LTACs give these very ill patients a chance to recover by providing extended, specialized services in an acute-care setting. With the aging of the population and continuing advances in medical treatment, the number of Medicare beneficiaries surviving a significant acute-care event and an ICU stay will continue to grow. While the industry will continue to be buffeted by changes in Medicare payment policy and the growth of Medicare Advantage and other alternative payment models, LTACs, appropriately focused, can provide high-quality care and exceptional outcomes. It is vitally important that their role in the healthcare landscape be understood and continued. 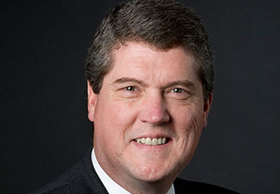 Lou Little is president of the National Association of Long Term Hospitals, based in Rockville, Md., and is president and CEO of Sparrow Specialty Hospital in Lansing, Mich.